Click Here to see the Vanilla Progress after 1 week, You will not believe the change! Shortly after Bill and I were married his Aunt Evelyn gave me a bottle of her Homemade Vanilla extract. From that day forward I was hooked! The stuff you buy in the store does not compare to the homemade. The hardest part about making the vanilla is the waiting for it to be ready. It is super easy to make. 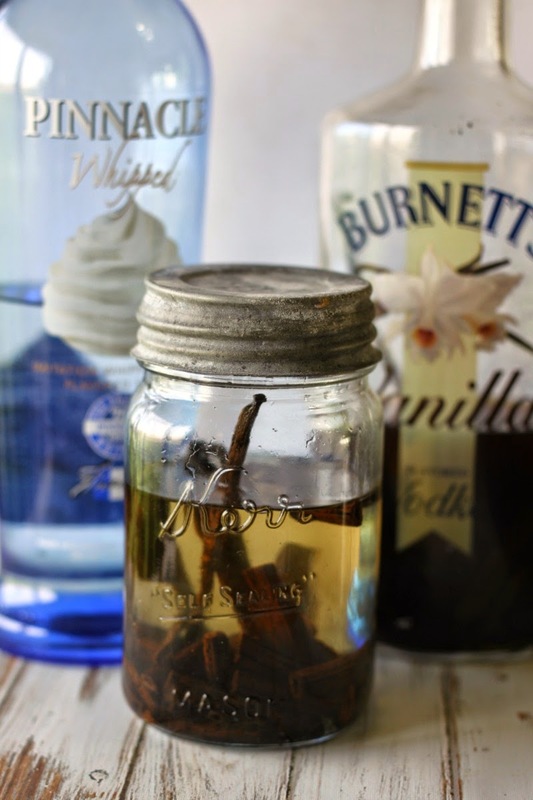 All you need is Vodka and vanilla beans. Vodka is what I always use but Brandy, Bourbon or Rum will also work. 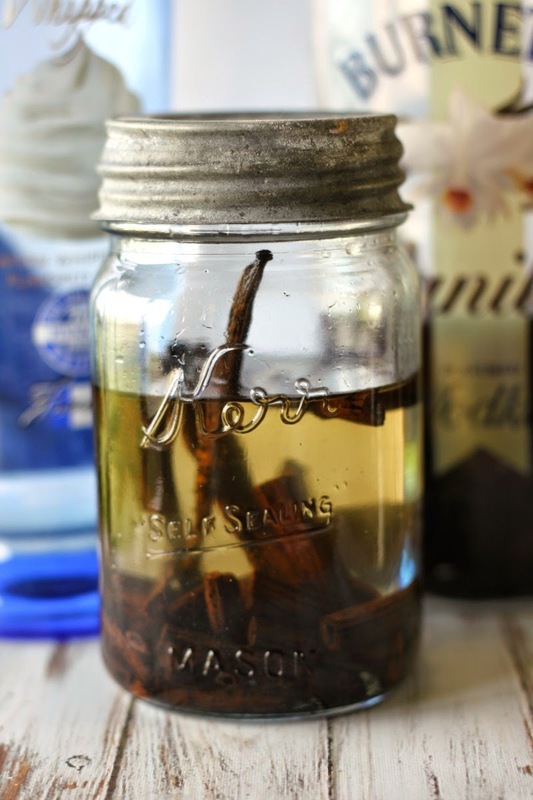 I use both cut up vanilla beans as well as whole vanilla beans and I never throw them away after making a bottle. I think I probably have had my vanilla beans for several years now. I put this batch in a mason jar so you could see the beans, I usually just buy a new bottle, pour off a little (Bill will help me with that) then throw in the beans, Every few days I give the bottle a once over to stir it up. After 6 to 8 weeks it is ready to use. 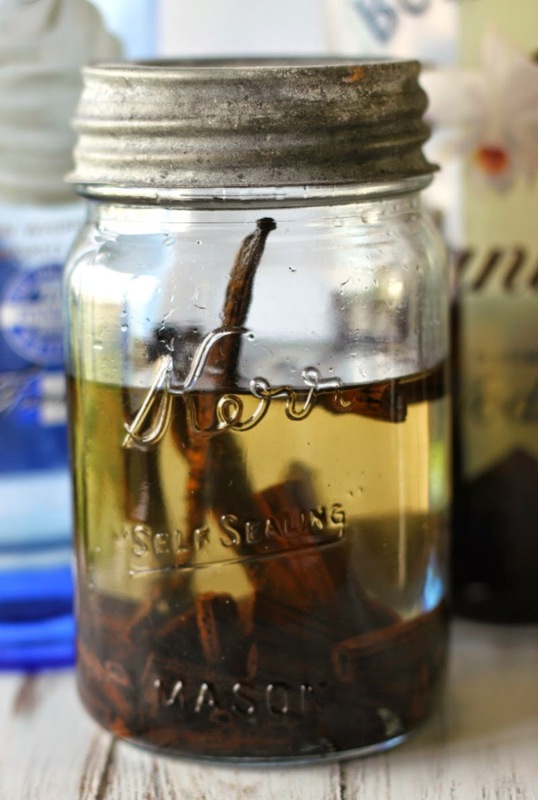 pour off a little of the Vodka to make room in the bottle for the vanilla beans. You can either cut them into pieces or take a knife a little ways down from each end split the bean to the goodies inside can infuse in the vodka. 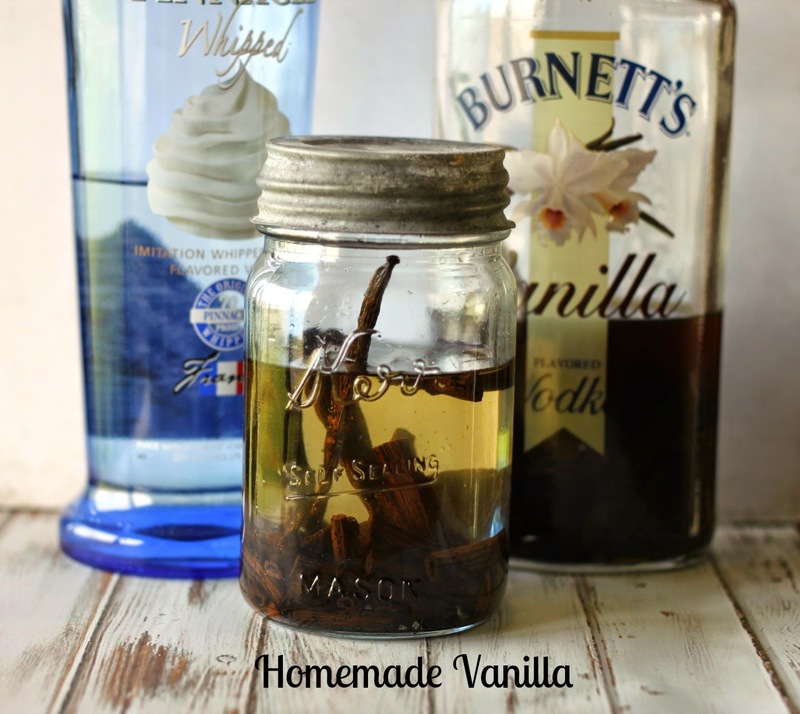 Give your bottle a once over every few days and after 6 to 8 weeks your Homemade Vanilla will be ready to use. I can't wait to make this! How cool! How cool I'm going to have to make some. I will make two bottles one for my mom and one for me, just won't tell her it has volka in it (-; Thanks for sharing! Found your link via Lou Lou Girls. Pinning! This is neat - you made it look so easy. For some reason I thought making vanilla was more difficult. The last jar I purchased was a little expensive and I thought to myself making my own would be a better option. Found you at Posed Perfection, thanks for sharing. I'll be book marking, thinking this would make neat Christmas gift giving for those who like to bake. Thanks again! I must give that a try, it really would be great to make a big batch and then add smaller bottles to foodie gifts.